AUGUSTA, Maine — The federal Centers for Medicaid and Medicare Services approved Maine’s application to expand Medicaid under the Affordable Care Act, Gov. Janet Mills announced on Wednesday, confirming retroactive federal funding to help cover eligible residents. The Wednesday move means that the federal government will pay roughly 90 percent of expansion costs for the low-income adults already in the program and those joining in the future. The Democratic governor began expanding the program in January using surplus Medicaid funds. That step was taken in anticipation of the federal approval of an application submitted under a 2018 court order by former Gov. Paul LePage, a Republican who opposed the expansion approved by voters in 2017 and urged the federal government to reject the application. Nearly 18,000 Mainers were covered under expansion as of Friday, according to the Maine Department of Health and Human Services. 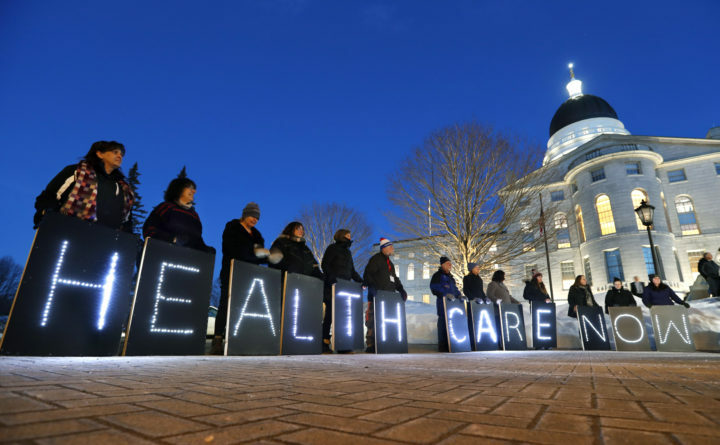 That includes thousands who were denied coverage in 2018 as the law lingered unimplemented in a lawsuit between LePage and pro-expansion advocates. One of the key questions of the lawsuit was the effective date of coverage, which a Maine judge ruled in November was July 2. The governor has dedicated $146 million to cover Maine’s share of expansion costs in her two-year budget proposal, a figure roughly in line with a 2017 estimate from the Legislature’s nonpartisan fiscal office. Legislative Republicans had been wary of implementing expansion without federal approval in hand. Mills’ office said the acceptance is expected to equate to $800 million in federal matching funds through June 2021 for people who signed up for expansion on or after July 2. The state is expected to open a temporary Medicaid expansion call center in Wilton later this month using nearly $1 million in existing department funds.